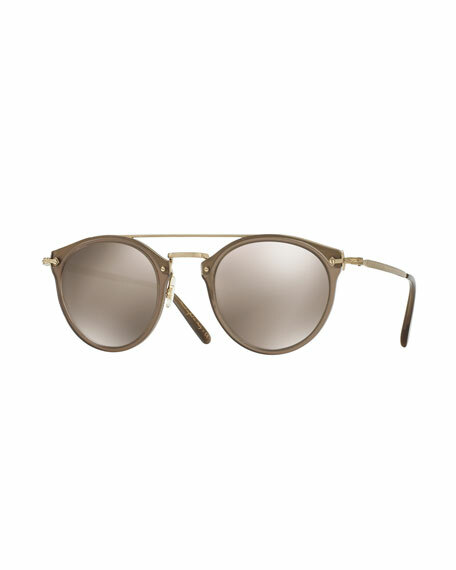 Oliver Peoples "Remick" acetate and metal sunglasses. Double nose bridge; straight brow. For in-store inquiries, use sku #2046118.